The alive-and-kicking industry in which I belong, no matter what technology says. Let’s not touch the T-word. Instead, let’s talk about the hauntingly and beautifully sad Never Let Me Go (2005) getting released this fortnight. It’s one of those Brit indies and stars such talent as Carey Mulligan, Keira Knightley, and Andrew Garfield (the new new Spiderman). Oscar bait? Perhaps. Three-hankie evening? Most definitely. Oh, and Gary Ross http://www.imdb.com/name/nm0002657/ quite possibly will helm The Hunger Games movie. Not till 2013 will we see the powerful series on the big screen. Post in the comments your wish list for actors. Right now, I just know I want an incredible visual experience and a not-starlet to play Katniss. It’s not all cups of tea and scribbling sentences in the park. I feel I must blog. I must enter blog contests to get my name and stories out there. I must read others’ blogs. I must read, read, read. I must review. I must support other writers with critiques (Go you!). I love it, but I must not get paid for it, apparently. Check out the link “My Other Blogger Life.” I am contributing reviews and musings for Catholic women ages 11-30. If that is not you or anyone you know, forward it along to someone who is. The declarative sentence that titles this post comes from Mitali Perkins, author of the newly published Bamboo People. I’ve always loved the power of simple declarative sentences after an Honors College professor gave us War is a Force That Gives Us Meaning to read. Though intended for two very different audiences, the two books share a common thesis. Bamboo People tells the stories of two young teen boys in Burma who learn the nature of the ethnic war and what meaning it can ascribe to humanity. Perkins wrote this story to delve into the experiences of the young involved in such heavy a conflict and show how their small moral choices could lead to some semblance of justice for all. She says, “If words were not revolutionary, the Burmese wouldn’t be banning them.” She hopes she gets on the government’s hit list. Friends who are relief aid workers will bring copies of her book into the jungles in the hopes some young guys will fall into them. Perkins’ answer was that she once heard “Never write about a suffering people until you’ve held their babies.”Why? Maybe it has something to do with the connection one feels when you having a breathing, pulsing, squirming bundle of softness next to your own chest. Your life rhythm syncs with his or hers. You also hold the most innocent of the conflict; the purest of hearts. And that starts to affect your own thoughts and perceptions, until your heart is changed figuratively, if not literally. Perkins has held infant Karenni (Burmese ethnic minority) refugees in Thailand. She has peered across the border. She has extensively interviewed her friends who have intimate knowledge of the situation. That research and familiarity contributed to a well-thought-out novel with accessible language, a strong message, and wildly beating heart. Congratulations, Mitali. You have a wonderful book, and even if you weren’t “Mother Teresa at 25,” if your books can change the hearts of people on either side of the Burmese conflict for the better, I will nominate you for literary sainthood. How to Write a Post about Covers without Using that Cliche? My compatriot, Shoshana Flax, has posed an interesting question over on her blog, Walk the Ridgepole: http://walktheridgepole.blogspot.com/2010/06/judging-cover.html#links. The recap: cover changes to reflect an upcoming movie has her questioning her previous stances. Instead of commenting many paragraphs, I have a new post idea. What do we do about covers? Should we take that hackneyed expression literally and not do that? But I can’t help it. I admit to having personal reactions to covers. Stickers: Award or otherwise – I hate it when you obscure the art/title/author name. I really hate it when I can’t remove you. 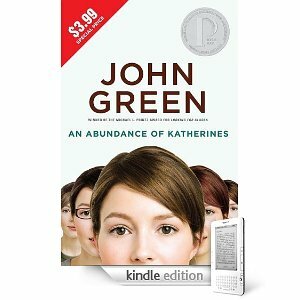 “$3.99” triangle atop the paperback Abundance of Katherines, I’m talking to you. Counterpoint: award stickers sell more books and bring awareness to the awards and awesomeness. I can’t really argue that. But a price starburst as part of the actual image design. Sorry, I can’t excuse you, no matter how cheap you are. Different images for paperback editions – WHY is this practice done? Most often, the art is less sophisticated or engaging. Like Abundance of Katherines. HC: The title graphic tells you a little about the storytelling. 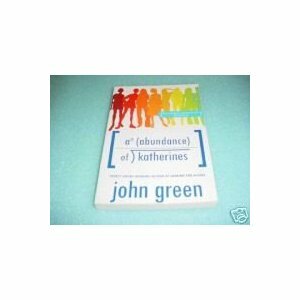 The rainbow silhouettes of the girls embody the distinct individuals each Katherine is despite having the same name. Here’s the paperback: Yes, I know it’s a Kindle thingy, but that is a real book cover. All of the Katherines are brunettes. Same face. I get nothing about their personality. And, with that triangle, announce to the world I am cheap, if not poor. Counterpoint: I cannot think of one, unless it’s a financial issue. Pretty girl’s face art: Many of you may know about the kerfluffles over publishers putting white girls on the covers of books about girls of different ethnicities. My answer: Stop putting faces on covers. Just stop. It’s not creative; it usually tells me nothing about the book; and according to the awesome Simmons people, “doesn’t ask a question” that readers will want answer by picking up the book. Counterpoint: By trying to represent the main character, the cover either gives the potential reader someone to immediately identify with or want to be. I’m sorry, but as a young adult, the pretty pore-less skinny girls with the shiny hair were always the mean ones, and I’d deal with them enough in real life; I didn’t want to put up with them in my books. CP2: But forcing you to go into the page gets you to read the book and maybe find killer writing. Sometimes. More often than not, I see such covers, grunt, and move on. 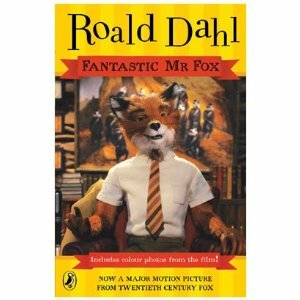 Movie Covers: Finally, what inspired this post – If the likelihood is that parents of children saw the movie and heard…”it’s based off that book,” then I think keeping classic covers the same (and still on the shelf for pre-release fans who may want it for their collection) should be the practice. Counterpoint: Broswers will see the movie cover, associate it with the commercial from Tv and more liklely to pick up the awesome book. Yes, but book and movie are two different creations. I don’t care how faithful the adaptation to screen is. When I have a book on my shelf I pick up five years later, I don’t want the images implanted on my brain to be 2010’s flavor-of-the-month actress. The answer? Well, my answer at least: removable movie cover flaps. Or, rotating publishing schedules. If the book is in print and on the shelf, don’t make this: be the only edition I can buy for at least a year. Bring the other covers back. Counterpoint: It’s too expensive, and if the publisher goes through with your ideas, there’s less money for you to get a contract as a writer. Siiiiiiiiiiiiigh. No one wins. Let’s just go back to plain cloth binding. It’ll give our libraries that old-fashioned feel.